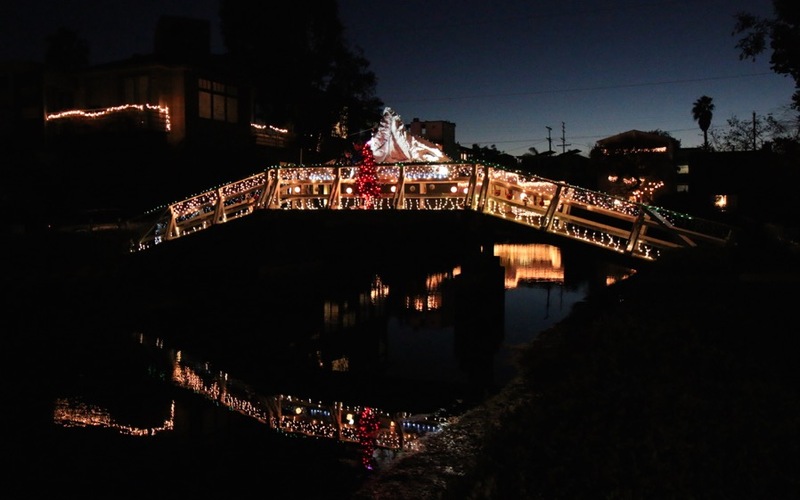 After writing a quick round-up of where to see Christmas lights in Los Angeles, I got inspired and took a drive out to Venice yesterday to scope some of the gorgeous lights on display in the Venice Canals neighborhood. 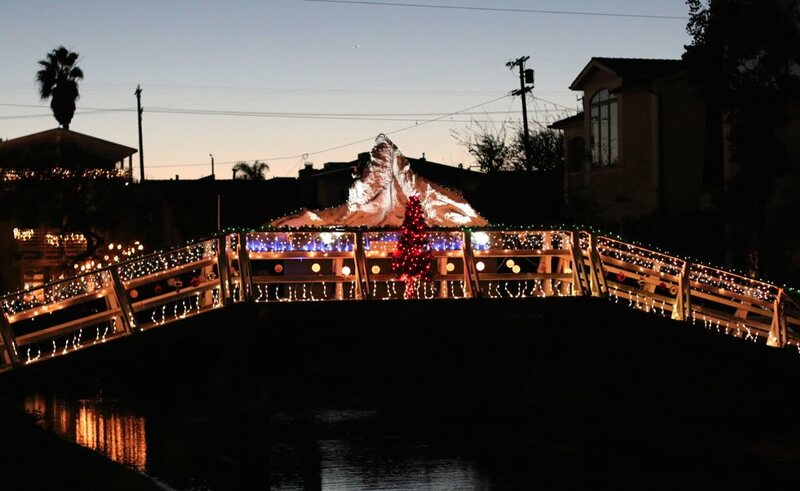 Although the annual boat parade (usually the first Saturday of December) has come and gone, the bridges and many of the homes in the surrounding canal walkways have a bevy of gorgeous lights that make for a wonderful, albeit chilly, evening stroll. 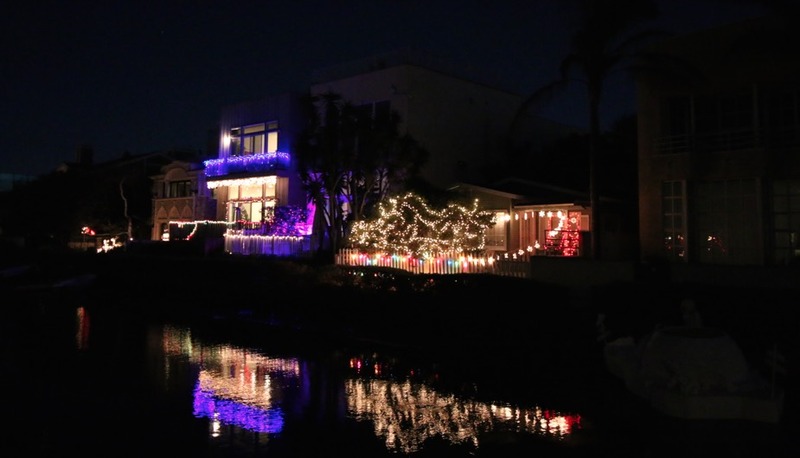 These folks really get into the spirit of the season! 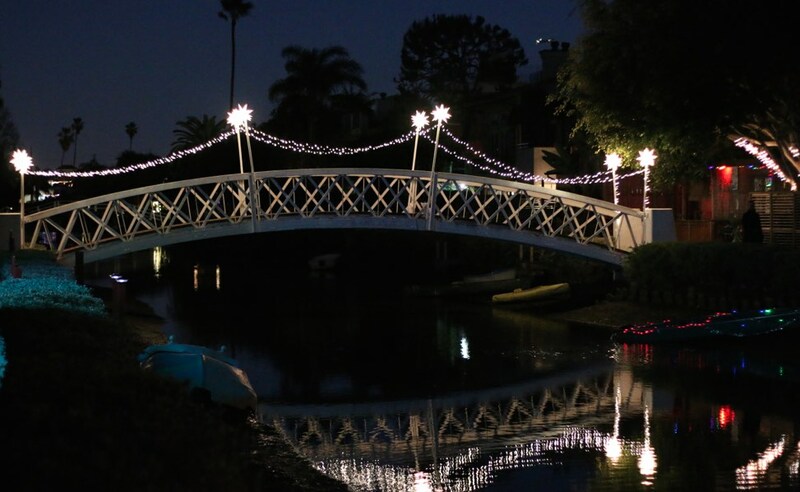 In any case, just thought I’d share some of the photos I took during my walk. 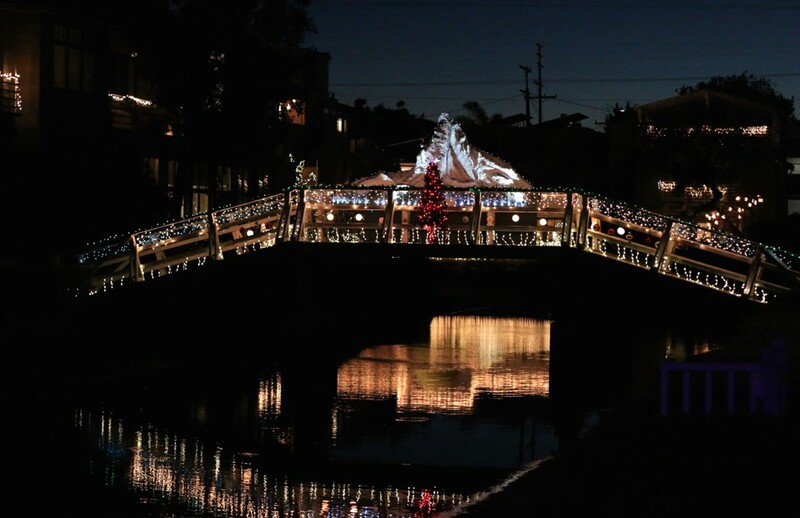 If you plan to go check it out for yourself, expect a good amount of traffic during the early evening (Ocean Ave. is pretty much a constant stream of commuters), and a dearth of street parking options. 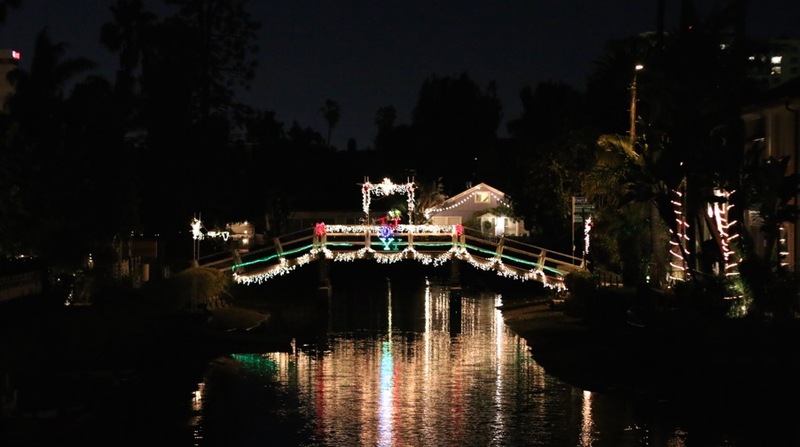 Also, it got pretty chilly in the evening during the winter months (at least by L.A. standards) so dress warm. 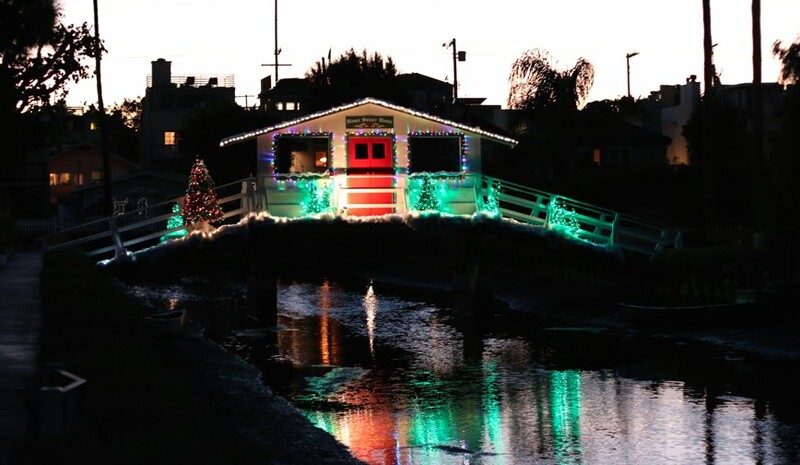 Finally, if you’d like more background and information on the neighborhood while getting a guided tour of the area, I’d recommend the Vintage Venice Holiday Lights tours, which are starting up this week and run until January 3 (it’s around $40 for a 3.5 hour tour of the neighborhood). 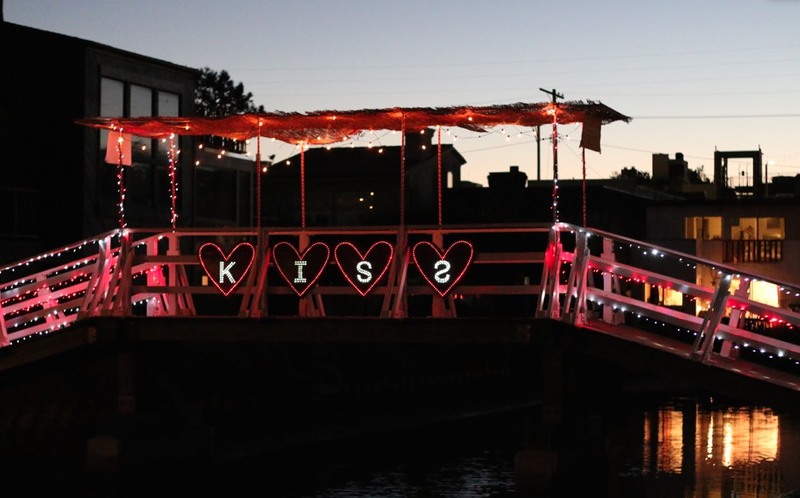 For more information on the canals, visit venicecanalsassociation.org.